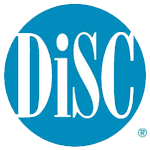 DiSC is a powerful assessment that is easy to understand and simplifies the complexity of human behavior. You do not have to be a trained psychologist to use DiSC. It is accessible to anyone who has the desire to learn more about himself or herself and other people. Can you imagine an environment in which individuals learn first about themselves: their tendencies, strengths and weaknesses? Then, they learn how others differ, what they need and how to interact with them. DiSC assessments are easy to take and give you tools to understand your own style of behavior and insights into the behavior of others. With this knowledge you can determine how best to respond and adapt to a specific people and situations in order to work more effectively with individuals and teams. Apply this learning to your teams, customers or clients. As a part of this course each participant will receive a personal report giving them insight and direction about their own communication style. See a sample DiSC report. Following the assessment, training focuses on identifying one’s own behavior style, identifying the four main behavioral styles and how to relate to others to improve communication, relations, sales performance and/or management skills. We work with clients arount the Atlanta area including Roswell, Alpharetta, Marietta, Dunwoody, Sandy Springs, Norcross, Duluth, Lawrenceville, Smyrna and Woodstock. See the Four DiSC styles. Kate Tunison, a certified DiSC instructor, uses the DiSC model assessments and training to improve communication, increase sales productivity, gain management effectiveness and build better teams. Please contact us for information on how you can learn how to manage yourself and others from DiSC training.